A lot of people want to start a lawn care business, but very few understand the groundwork that’s actually needed to get fully operational. 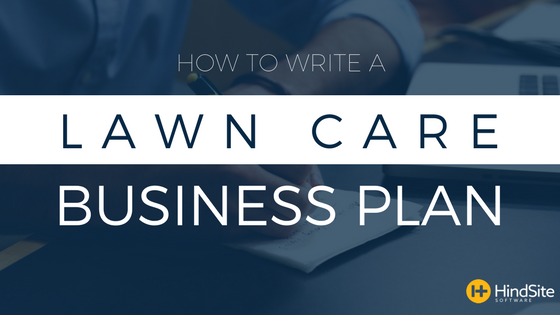 Of course, you don’t need to write out a business plan but doing so can help guide your business and uncover any sort of inefficiencies or lapse in judgement before it’s too late. Providing a snapshot of your business plan, your executive summary should highlight the strengths of your overall plan. And although it’s the first section people read, it should be last section you write since then you’ll have fully developed the plan and be able to properly and concisely sum it up. You’ll also want to concentrate on your relevant experience and background in the industry. Some use this opportunity to layout the journey that’s led them to start a business. Lastly, show you’ve done your homework by detailing your knowledge of the market you’ll occupy and how your business fills a particular need. In the end you’re trying to convince the reader you’ll succeed. This is where you demonstrate - in detail - your industry expertise through the market research you’ve performed. The following are elements to include in your market analysis. From its organizational structure to its ownership, this section constructs the framework of your business. And essentially explains who does what, defining roles and responsibilities. Organizational Structure: Simply, yet effectively lay out a diagram of your business's structure, inserting descriptions where needed. Readers should be able to visually understand who’s responsible for each function and the subsequent roles that fall under them. It should also reveal any organizational or operational redundancies. Ownership Information: Explain the type of legal structure your business has (or will have). What type of corporation is it? Or is it a partnership? Or are you a sole proprietor? These are the questions you should be answering here. Here is where you explain your service. For a lawn care company this would simply be the service of maintaining a property. Be sure to demonstrate its benefits to potential customers and how it’ll fill a need for your target customers. A business needs customers and this is where you show how you’ll go about doing just that. Marketing Strategy: Here are the four parts that should make up your strategy. Sales Force Strategy: The number of salespeople you’ll need, how they will be trained and compensated. Sales Activity: This is how you prioritize leads and identify the points of contact needed to win the business. These projections provide the insights needed to allocate resources efficiently. If you’re a brand new business you can’t provide any historical financial information, instead you’ll want to supply the reader with prospective financial data. Creditors will use this information to see what your company expects to do the next five years or so. For each year, you should include forecasted income statements, cash flow statements, balance sheets, and capital expenditure budgets. Your first year projections should also include monthly or quarterly forecasts. Lastly, it’s smart to include a concise analysis of all this information, including graphs of your trend analysis, if they’re positive.